The False Bay seaboard curves south in a huge arc from Gordon's Bay stretching past the Strand, Muizenberg and ending at Cape Point. A variety of village-like suburbs nestle between the mountains and coast from Muizenberg to Simon’s Town. The Metrorail line conveniently snakes along the coast with frequent stops and one can hop off here and there to explore. For surfers and bathers the water on this side of the Peninsula is blissfully warmer by a few degrees. Muizenberg was once the trendiest beachfront in Cape Town. Agatha Christy liked to holiday and catch a wave here. The glamour of the 1920s is scarcely evident in the crumbling facades of Art Deco buildings along the beachfront. Plans to radically upgrade this area are already underway, so check it out before it gets a radical facelift. A safe swimming beach fringed with vibrantly painted bathing huts, lots of surf schools and shops, trendy cafes, restaurants, easy parking and a waterslide still make it a popular destination. Starting at the Edwardian-style Muizenberg station, the Historical Mile is an easy amble along the shore. 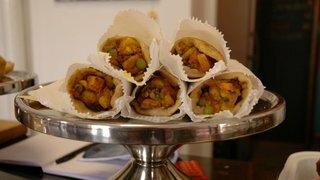 Stop in for tea at the Natale Labia Museum, explore the Rhodes Cottage museum and view Posthuys, a rustic, thatched Cape-vernacular-style building. Built in 1673, it’s arguably the oldest building in South Africa. This brings one to St James, a much prettier suburb than Muizenberg with its own tiny beach, tidal pool and bright Victorian-style bathing houses. Kalk Bay is an amazing place with a vibrant, bohemian atmosphere. There’s a quaint fishing harbour, trendy cafes, restaurants and interesting antique shops. It’s also Cape Town’s only true fish market where one can choose fresh fish straight off the wooden boats. Just around the corner is the family friendly suburb of Fish Hoek. 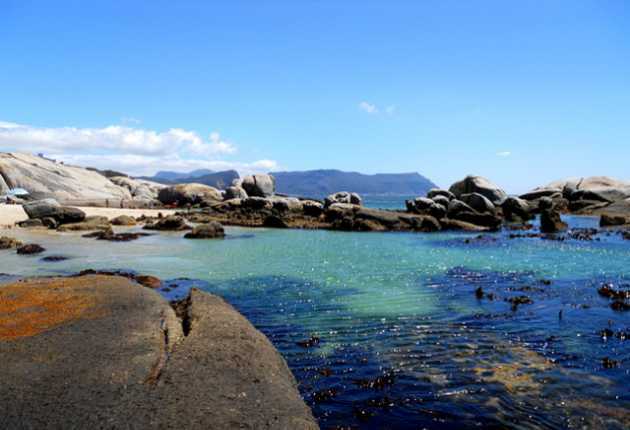 The beach is the main attraction here and it definitely has the best swimming beach in Cape Town. The sheltered bay makes it an attractive launch site for paddlers and Hobie Cat sailors. There’s a play park for children and a good beachfront restaurant. From here, scenic Jager’s Walk fringes the rocky shore ending at Sunny Cove. It’s a good place to do some whale spotting or snorkelling in the rock pools. 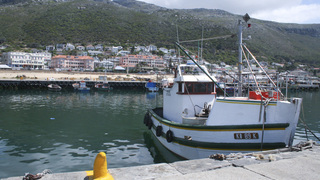 Picturesque Simon’s Town sits at the end of the Metrorail line and has a delightful nautical atmosphere. It has so much going for it, from cheerful naval officers striding about, a cobbled town square, a yacht marina, good restaurants and the only breeding colony of penguins on the mainland, situated at Boulder's Beach. One could easily spend an entire day here and it’s an excellent stopover on the way to Cape Point.